Weather – Page 459 – Welcome to Wyandotte Daily! 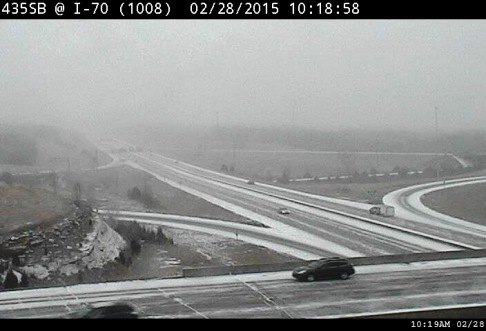 Several traffic accidents were reported this weekend in the Kansas City area, including two on Sunday on I-70 in Wyandotte County. A Hyundai Tiburon was eastbound on I-70 near the 78th Street exit when it lost control and entered the south ditch about 12:49 a.m. March 1, according to the Kansas Turnpike Authority trooper’s report. A 25-year-old Kansas City, Kan., woman was injured and taken to the hospital, according to the report. A second accident was reported at 6:10 a.m. Sunday between the Turner Diagonal and 57th Street on I-70 westbound, a KTA trooper’s report stated. A Ford Contour was westbound, when it swerved left to avoid another vehicle, lost control and struck the median barrier, the trooper’s report stated. A 21-year-old Kansas City, Kan., woman was injured and taken to the hospital, according to the report. 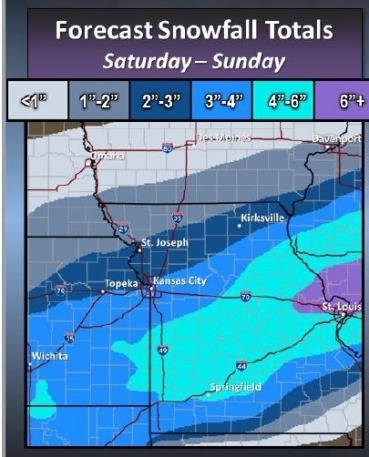 After a little snowfall overnight, a storm predicted for Sunday mostly missed Wyandotte County, and headed south and east. Side streets in Wyandotte County were widely snow-covered through about 11 a.m., when the snow began to melt. By 1 p.m. Sunday, temperatures reached 32, and by 3 p.m., temperatures climbed to 34 degrees, according to the National Weather Service. The weather service said light icing may be possible in the region late Monday into early Tuesday before precipitation changes to all rain. The temperatures will be on the edge of freezing, and they are predicted to be a low of 33 here. Tonight’s low will be around 21, and Monday’s high will be near 37, the weather service said. On Monday night, there is a 70 percent chance of rain, according to the weather service. The low will be around 33. On Tuesday, Election Day, there is a 70 percent chance of precipitation, with rain likely mainly before 7 a.m., according to the weather service. The high Tuesday will be near 50, the weather service said. A south wind will be 15 to 18 mph, becoming west northwest in the afternoon. Winds may gust as high as 26 mph, according to the weather service. Tuesday night, there is a 50 percent chance of rain, probably before 7 p.m., according to the weather service. Wednesday, expect mostly sunny skies and a high near 28, the weather service said. There may be mostly clear skies for the rest of the week, with a warm-up on Friday and Saturday to near 50 degrees, according to the weather service. 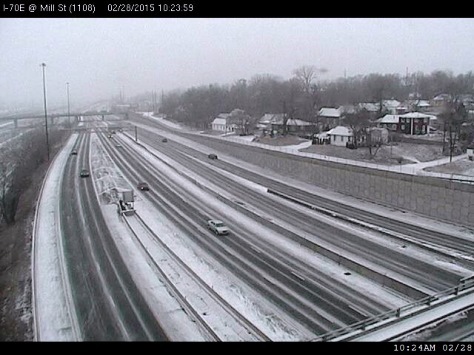 Wyandotte County is receiving some snow flurries this morning as a winter storm system began moving into the area. 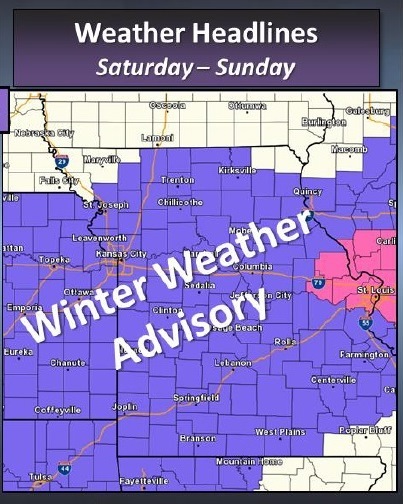 A winter weather advisory went into effect at 9 a.m. Saturday and will remain in effect until 6 p.m. Sunday, according to the National Weather Service. The temperature was 21 degrees at 9 a.m. Saturday, the weather service said. Light snow will begin this morning and continue into the early evening, the weather service said. A lull is possible tonight followed by another round of light snow on Sunday, according to the weather service. Today’s high will be near 26. Snow accumulations could total around 2 or 3 inches today and 1 to 2 inches on Sunday, the weather service said, with a total snow accumulation of about 3 to 5 inches. 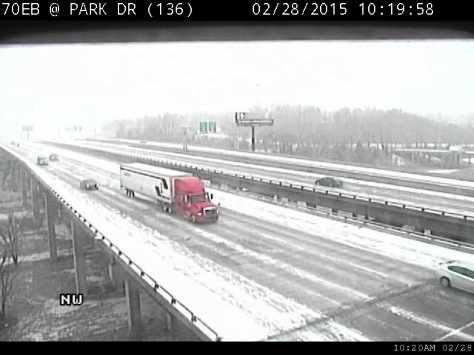 Travel may be hazardous, especially on any untreated roadways, according to the weather service. The weather service advised drivers to be prepared for slippery roads and limited visibilities, and use caution while driving, the weather service said. Sunday’s high temperature will be near 33. The high Monday will be 37, the weather service said. Light freezing rain will be possible over parts of the region on Monday night, but its effect is expected to be minimal, according to the weather service. Isolated thunderstorms and showers will be possible along and south of the Interstate 70 corridor on Tuesday, Election Day, the weather service said. The high on Tuesday will be near 52, according to the weather service. To keep up to date during the day on the weather, visit www.weather.gov.